Do your eyes brighten up at the thought of visiting unknown destinations? Do you experience indescribable happiness at the mere mention of a journey? Do you delight in travel and thirst for new experiences? Then you, my friend, are a certified travel lover and are consumed by wanderlust! People who love travelling love the thrill of discovery, the sense of freedom one experiences in motion and the novelty one gets to witness along the way. However, all is not a bed of roses, for on the road to your far off destination, the backpacker is sometimes weighed down by old memories or feelings of loneliness that can make him yearn for familiar faces and the warmth of home. If you are a backpacker and have ever experienced the ‘travelling doldrums,’ don’t let them get to you. Turn towards music for the much-required mood boost. Yes, melodious tunes make the toughest journeys bearable and the loneliest times enjoyable. At Sand Dunes Resort we see plenty of backpackers come and go and music is the one thing that can bring people of all countries and cultures together. It starts conversations, it picks you up when you’re down and most crucially it can tie you to a location or experience like nothing else can. Here are 5 classic travel songs every enthusiastic backpacker must have on their playlist. Pump up the volume and tap your toes to these tunes as you journey to distant lands and mysterious destinations! A great song to listen to when you’re driving down country roads, this song by John Denver poetically describes the rustic beauty of the countryside. The poignant lyrics, sung to soothing country tunes relaxes the senses and calms the mind. Step on the gas and breeze through to your destination with this lilting song playing on in the background. Nothing like good ol’ Rock n Roll music to keep you company through a long journey. This iconic song sung by the wild Jim Morrison has some really soulful lyrics and head-banging beats. The best part about this song is that it has a distinct blues vibe as well. Play this song on repeat and you’ll want to roll baby, roll… all night long! So people tell you you’re too restless, you’re a rolling stone, well, tell them you’re not going to stop! Quite a peppy number, this song by pop queen Madonna has a groovy country vibe with trip-hop and folk elements. Best of all are the lyrics, so free-spirited and freedom-loving, just like the avid, unstoppable traveller! With wild rock guitaring and drum rolls, this song can infuse zest and zeal into your journey. Selected as the soundtrack for the movie ‘Easy Rider,’ this song has come to embody the quintessential ‘biker spirit’ and almost makes tangible the exhilarating feeling one derives when cruising through the streets. So, the next time you’re on the road, roll down the windows, turn up the volume and tear up the highway baby, because you’re born to be wild! 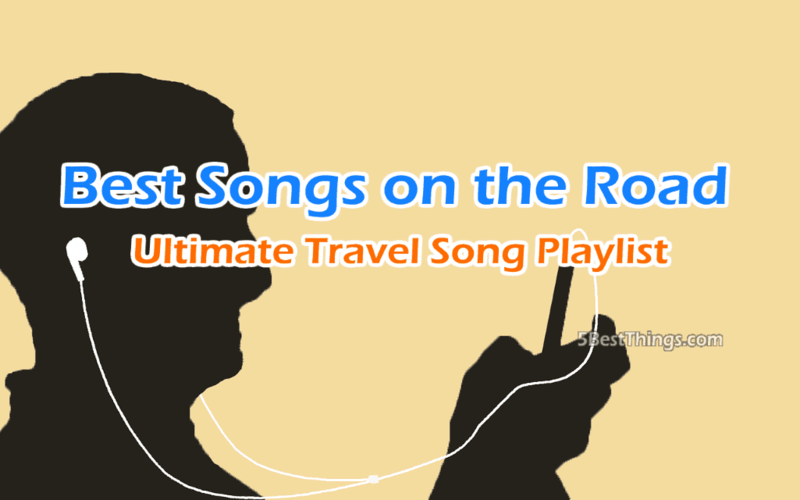 Well, with these 5 classic travel songs on your playlist, you’re sure to enjoy every journey you undertake, no matter how far the destination is, or how lonely the road is. So, pack em’ bags and get going!